Leinster's dismantling of the Scarlets this weekend in the Champions Cup semi final was mightily impressive. And at the heart of what is turning into one of the best ever Leinster squads is senior coach Stuart Lancaster. Yes, that Stuart Lancaster, the chap who was pilloried from all quarters following his England team's elimination from its home World Cup group stages in 2015. The fact is that Lancaster was and still is a fine coach and a thoroughly decent bloke. Where he failed with England was ultimately with selection and with getting the preparation for the World Cup badly wrong. And even then he did the decent thing by accepting responsibility and stepping down. 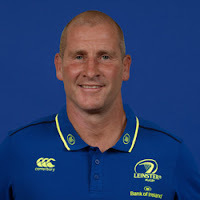 With Leinster in the Champions Cup final his redemption is almost complete. North Shields or South Shields?